Which juicer is easiest to clean? A difficult-to-clean juicer is far more likely to gather dust. There are many important things to consider when buying a new juicer. How well does it make juice? Is it easy to use? Is it reliable and affordable? But one things people sometimes overlook is how easy is it to clean up after the juicing is done. 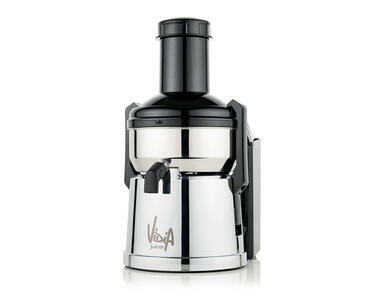 The excitement from your shiny new juicer may quickly fade if it is difficult to clean. Based on our experiences, here is how we would rank ease of cleaning for the four major types of juicers. 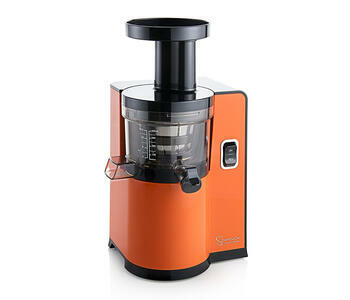 With super-fast disassembly and a small juicing screen to brush, we think horizontal single-auger juicers are the fastest and easiest to clean. 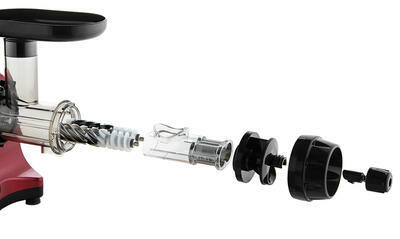 The juicing tube, auger, cap, and pusher are all quickly rinsed, and the juicing screen is small enough that it cleans up quickly with a brush under running water. Vertical single-auger juicers are very popular these days. One reason is that they are fairy easy to clean. Better ones have integrated wiper blades that constantly wipe the juicing screens when operating. And some even have a juice tap that lets you run water in it after juicing for quick cleaning between recipes. The reason it comes in second is that disassembly can sometimes take longer than horizontals, and more importantly verticals have a much larger juicing screen which must be scrubbed. Also, fibrous produce like pineapple or celery tends to get jammed in the pulp outlet. But overall, verticals are fairly easy to clean, especially after you have some experience with it. 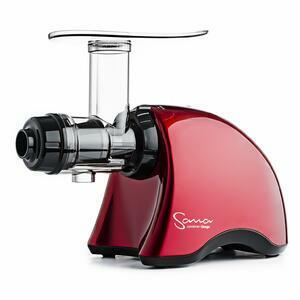 Twin-gear juicers take 3rd place in our list. Generally there are more parts involved, so disassembly takes longer. And the longer dual juice screens can be a bit fiddly to get totally clean. Keep in mind that there is a bigger variance within this category as opposed to horizontals, verticals, and centrifugals. For example, the stainless steel Angel juicer presents its own benefits and challenges compared to the magnetic GreenStar Elite, while the Omega twin-gear is similar in disassembly to a standard horizontal. Some people may disagree with this, and certainly with use one can find tricks to clean them faster, but in our experience centrifugal juicers take the longest time to clean. This may seem surprising, since disassembly of centrifugals tends to be the fastest and easiest of all juicer types. The problem lies mainly with their very large juicing screens, and the fact that the high rpms involved in juicing can lead to produce bits solidly impacted into the juicing screen. It can take a lot of serious scrubbing with brushes or a rough sponge to get everything cleaned up. If you are buying a centrifugal, make sure to check reviews or watch videos to see how easy it is to clean. Look for models with external pulp containers and stainless steel jucing parts for easiest cleaning, like the Vidia centrifugal pictured here.